Good cashier training is critical to your business running smoothly. The benefits of well-trained cashiers include more accuracy and less fraud, a balanced cash drawer at the end of the shift, shorter lines, and happier customers. So it’s important to provide comprehensive cash register training for any employee who might process payments. The cash register training tips below will help you train cashiers for better efficiency, smoother onboarding, fraud reduction, and handling angry customers effectively. Well-trained cashiers not only process payments quickly and correctly, but they also provide a friendly face for your brand. The following cash register training tips help streamline the checkout process, which is good for customers and your business’s bottom line. Use a point of sale (POS) that’s easy to use and can be tailored to your business. Square’s secure, free POS app is designed for speed and ease of use, and runs on Apple and Android devices. Purchase a bar code scanner if you have high product volume. If you use paper receipts, show your cashier how to load a new receipt roll and let them practice so they don’t fumble while ringing up a customer. Or better still, switch to a POS with digital receipts. When giving change, train cashiers to hand customers coins first and then bills. If you put coins on top of bills, they can slide off onto the floor. A well-thought-out cashier training helps your new cashiers operate the register with confidence, giving them the tools they need to take customers’ payments and reduce their reliance on other staff. Have your best cashier run your cash register training and let your new hires shadow them before they’re given the reins. Run your cashier training during a slow time in the day. Practice making purchases, going through the entire payment flow. Have each new hire cancel transactions to practice issuing refunds. Cover less frequent transaction types, like selling or redeeming gift cards and accepting personal checks, as part of your cash register training. Give cashiers a sheet with PLUs to take home and memorize. To protect your business, your cashier training should include money-handling best practices and tips to reduce fraud. Explain how much money is in the float at the start of each shift as well as the process for counting money at the beginning and end of each shift. For example, who unlocks the safe and who signs off on the money? Many businesses set expectations that if the cash register is more than $3 under or over what it should be, there’s an investigation. Decide your business’s tolerance for cash shortages and communicate it to your cashiers. Create a cash-handling policy and have your cashiers sign it. Teach the basics of how to spot counterfeit money in your cashier training. Always dip chip cards. If you swipe EMV chip cards, your business could be on the hook for some kinds of fraud. Have a credit card processing system that checks the CVV for keyed-in payments to help guard against cloned magstripe cards. If your drawer is full of new bills, crinkle them a little to avoid accidentally overpaying a customer. Use a POS that lets you manage employee access so more sensitive business information is password protected and only accessible to managers or certain senior employees. 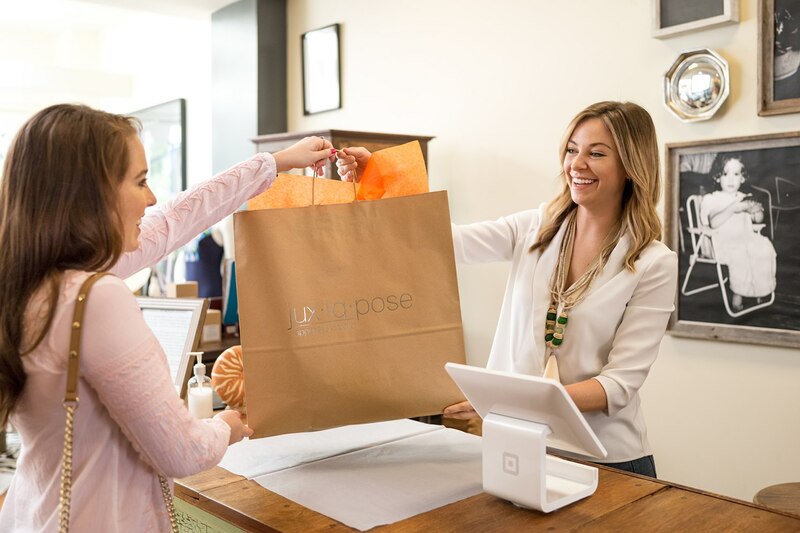 Square’s Point of Sale and Retail POS system has secure employee permissions. Teach the rules of PCI compliance. This is especially important if cashiers accept credit card information over the phone or keep paper records. To make sure you’re compliant, use a secure system like our Card on File payments or Virtual Terminal to safely store or bill credit cards for repeat clients. Despite your staff’s best efforts, sometimes things go wrong and customers get angry. Have a clear, approved way of handling upset customers. Take cues from Nonviolent Communication, a communication technique that focuses on active listening and empathy. During cash register training, discuss the process and role play — first with the new hire as the angry customer and the experienced cashier demonstrating how to defuse the situation. Then switch roles. Offer constructive feedback afterwards. Stay calm. This is a tough one, especially if someone is yelling at you. Take deep breaths and remember not to take it personally. Be an active listener. Angry customers have something to get off their chest, so before jumping in with solutions, hear what they have to say. Use good, open body language, including sitting or standing up straight with your arms uncrossed, and maintain good eye contact. Know when to get help. If the situation escalates, get a more senior employee, such as the shift manager, to help resolve things. Take a breather. Once the situation has been taken care of and the customer has left, it’s a good idea to take a couple of minutes to calm down. A few minutes of down time, like a walk around the block or a quick chat with coworkers, can help you bounce back emotionally and feel ready to get back to helping customers.